Whether your home is Hamptons inspired, industrial or simply modern, the Oakland will suit it. We recomend the carbon (vintage) filament globes, but an LED filament or clear energy-reduction globe would also suit, depending on the look you want. Oriel Lighting was first established in Brisbane, Australia over 30 years ago, with the intent to deliver quality lighting solutions at prices that people could afford. Since then its catalogue has expanded significantly, and today Oriel has one of the largest lighting ranges in Australia. Oriel continues to be a fast growing importer and distributor of quality lighting products, and continues to bring to the market more and more original products that customers love. Oriel has long been known for its traditional lighting fixtures, but in the past decade their range has expanded to incorporate a more modern twist. The company prides itself on its commitment to evolving product offerings with the industry's designs and trends. When you buy a Black Oakland Outdoor Wall Light online from Temple & Webster in Australia, we make it as easy as possible for you to find out when your product will be delivered to your home in Melbourne, Sydney or any major city. You can check on a delivery estimate for the Oriel Part #: SL64908BK here. 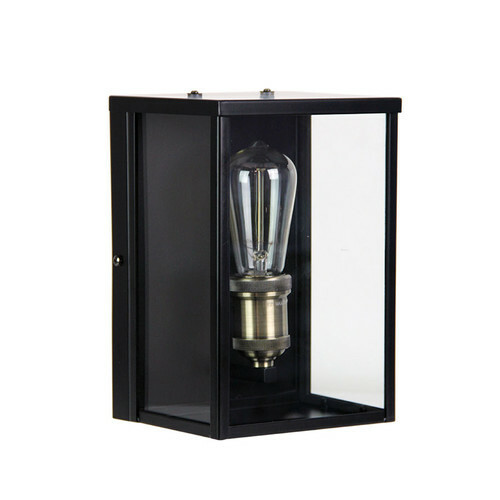 If you have any questions about your purchase or any other Outdoor Lighting product for sale our customer service representatives are available to help.Whether you just want to buy a Black Oakland Outdoor Wall Light or shop for your entire home, Temple & Webster has a zillion things home.